Egypt today hanged 15 Islamic militants convicted of a 2013 attack on an army checkpoint that killed nine. Hanged in simultaneous mass executions at Borj al-Arab and Wadi al-Natroun prisons, the accused ISIS/ISIL fighters might have been selected to ornament Cairo’s public present-day crackdown on the Islamist movement and the restive Sinai, on the heels of a Bir al-Abed mosque attack last month that claimed more than 300 lives. An attorney representing the hanged men claims that the execution was irregularly expedited a mere six days after the death warrants were approved, instead of the mandatory 15; if true, according to a statement today by the British human rights organization Reprieve, that would not far differ from the process that landed them in the executioner’s path to begin with. These death sentences and executions are a flagrant breach of international law. Trials in Egypt routinely fail to meet basic fair trial standards, and this is especially so in mass trials and military tribunals — as in this case. Egypt has executed at least 55 people and sentenced thousands to death since Sisi took power — a massive increase on pre-2014 figures. The international community, particularly Egypt’s allies, must condemn these killings. The European Commission and member states must urgently review their assistance to Egypt’s judiciary, which is responsible for these atrocities. These executions also appear to break a yearlong lull in executions in Egypt; a Cornell University project had Egypt credited with only a single previous execution in 2017 after hanging 44 in 2016. 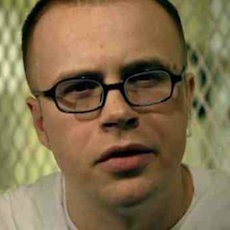 Texas this evening executed Robert Pruett, a 38-year-old man who last saw the outside of prison as a 15-year-old boy … and who perhaps had no hand in either of the murders that defined his life and death. He was sent to jail as a child under the “law of parties” for being present when his father stabbed a neighbor to death — an offense that caught him an unthinkable 99-year sentence before he was old enough to drive. It’s claimed by way of justifying his death by lethal injection tonight that in 1999 he murdered a guard. Pruett has always denied this and has never been linked by physical evidence to the murder — a very late attempt at DNA testing yielded a frustratingly indecisive outcome — and the testimony against him consisted of prisoners whose status as wards of the state issuing the prosecution predictably compromises their evidence. Pruett never quite had conclusive proof of his innocence so his “merely” questionable guilt fits a depressingly frequent pattern: use the prosecutor’s muscle to get a conviction on the books, then ride procedural inertia all the way to the gurney. Anti-death penalty nun Sister Helen Prejean of Dead Man Walking fame has a Twitter thread summarizing the case for Pruett beginning here. Innocent or guilty, Pruett is — was — a man of unusual erudition. A blogspot blog last updated in 2007 has some fascinating reflections from a much younger man, years before he was a figure of interest for New York Times op-eds. As I lie awake at night pondering my predicament, a feeling of futility envelopes me. The maxim that had once helped me develop an insatiable will wants to fade away. I waited too long to fight, says some voice that I hardly recognize as my own. It’s over. I should acquiesce to my fate … Yet there’s another voice from the depths of my soul rebuking the other, warning me against throwing the towel in. I’m not a quitter, it says, I can do this if I set my mind to it. That sounds more like the Robert I know. There’s still time to prove my innocence. It’s foolish to waste it with all the negative thoughts of defeat. Just three days before Pruett’s execution, Current Affairs editor Nathan J. Robinson wrote a captivating review of a nine-chapter autobiography of Pruett’s that demands a full read. I have not been able to locate a link to the actual autobiography itself and would be grateful for anyone who might be able to direct me; nevertheless, Robinson’s lengthy excerpts achingly humanize the late writer from his behind-the-8-ball childhood to his maturation under the executioner’s very long shadow. Somehow, I believe it took me coming here, living the life of extreme adversity that I have, in order to conquer my shadow and grow in the ways I have … I needed to have my life ripped away from me, to face a hopeless situation and experience great loss and pain in order to finally break through and spread my own wings. 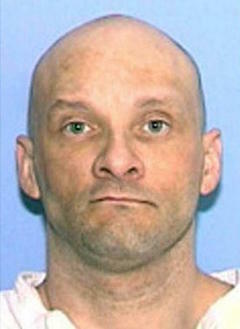 Moments before his death warrant expired at midnight U.S. Central Time, after a last meal consisting only of communion, Ledell Lee was executed by the U.S. state of Arkansas. Lee spent 24 years awaiting execution for the bludgeon murder of Debra Reese on February 9, 1993, but he was done to death in a rush that left unanswered some of the most fundamental questions in the case. In the name of closure, end-state cases must also insist on renouncing one of the potential benefits of all that time-wasting, the perspective of passing years. DNA tests that were not available when Lee stood trial for his life — and the discredited “forensic evidence” of matching hair samples was invoked against him — could have been used to examine blood spots on Lee’s shoes. ** Because the prisoner maintained his innocence in the case from the time he was arrested until the very end, one of his late appeals vainly implored Arkansas to test that DNA sample. There are many cases, death penalty and otherwise, meeting this description, and most U.S. jurisdictions compulsively resist any calls to revisit testable tissue in the light of emerging DNA science as so many affronts to the majesty of law. So what has everyone been up to while not testing DNA all those years? The Fair Punishment Project report on Lee’s post-conviction road makes depressing reading. Unfortunately, his new counsel were not much better. First, they missed the filing deadline for the appeal. Then, the Arkansas Supreme Court twice, sua sponte, ordered the attorneys to submit a new brief because their filings failed to comply with Court rules — the second time, the Court referred the attorneys to the Committee on Professional Conduct. The attorneys also appear to have refused to accept their client’s phone calls and ignored his letters. At one point, Ledell received a glimmer of hope when the Arkansas court appointed the Arkansas Federal Defender to his case. They tried to litigate a claim that Ledell is intellectually disabled. In response, the state argued that Ledell — with all of his competent representation — had procedurally defaulted this claim by not raising it before.† But before the parties could complete litigation on the claim, the Federal Defender was removed due to a conflict. In June of 2016, one of Lee’s federal habeas lawyers, Gary Brotherton, voluntarily surrendered his legal license “to prevent possible harm to clients” because he was suffering from bipolar disorder with psychotic features and anxiety. One month later, the Missouri Supreme Court suspended him from the practice of law. So, just seven months ago, in the eleventh hour of his case, Ledell received yet another lawyer on his case. All in all, a shambolic proceedings crowned by the indignity of Arkansas’s cramming Lee into a raft of eight proposed executions — many of them now stumbling on late appeals — slated together for the last days of April for the tawdry expedient of using up the state’s lethal injection drugs before their imminent expiry. It’s a very not normal situation, and yet, it is also all too normal. 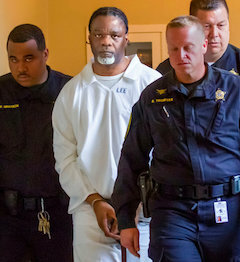 Ledell Lee was the first person executed by Arkansas since 2005. * As we’ve previously noted, Arkansas forced Echols to make an Alford plea as the price of his release, allowing it to claim on a technicality that it had not wrongfully imprisoned an innocent man for two decades. ** The crime scene was a bloodbath, so the supposition is that the murderer would certainly have imbrued his clothes with Reese’s blood. † Reese’s alleged intellectual disability ought to have been raised by his unwilling defenders at the trial’s mitigation stage; it appears they barely investigated it.